I’m not sure what happened last year, but I believe some fraudsters managed to apply for credit in my name right after my 90-day fraud alert had expired. In any case, I received a call from AllClearID (formerly Debix), a credit monitoring service that I’ve used for nearly two years now. AllClearID called to tell me someone had made several applications for credit with Capital One. AllClearID quickly conferenced in a representative from Capital One’s fraud team, but Capital One wouldn’t tell us anything about the application unless I gave them every piece of information about me they didn’t already have. We went round and round with Capital One for hours about this, but got nowhere; I refused to hand over more personal information just to prove to them I wasn’t the one who made the application, and each new representative we spoke with made us retell the story from the beginning. Unfortunately, another thing that often happens with fraudulent applications is that thieves use only part of your real information — mixing your name and Social Security number with an alternate address, for example. This is what happened on two of the fraudulent applications for credit in my name, with the result that this incorrect data was added to my credit file. AllClearID has been tremendously professional, and quickly alerted me each time Capital One pulled my credit file. But the company could do nothing to stop creditors from pulling my file, or fraudsters from making new applications in my name. The biggest help they’ve been so far is in getting Capital One to remove the fraudulent (score-dinging) credit pulls from my file, and in scrubbing the fraudulent data from my credit file (actually, that part is ongoing: Trans Union has steadfastly ignored requests to remove bogus addresses on my file, necessitating AllClear’s filing of an official complaint with the Consumer Financial Protection Bureau). I asked several experts that I trust for their views on credit monitoring services in general, and to explain their benefits and weaknesses. I also wanted to know why none of the credit monitoring services will offer to renew 90-day fraud alerts on behalf of customers. Julie Ferguson, a board member of the Identity Theft Resource Center, said a lawsuit by Experian against Lifelock effectively killed that service for virtually all credit monitoring services, with the exception of Equifax. Ferguson also stressed that there are varying levels of protection services offered by the credit bureaus and private companies, and that although many of them are priced similarly ($10-$15 per month), they vary widely in the services they provide. Take, for example, the ProtectMyID package that Experian contracted with Target to offer customers following last year’s massive data breach. The service will monitor your credit report daily and alert you of any changes, and includes up to $1 million in identity theft protection insurance. 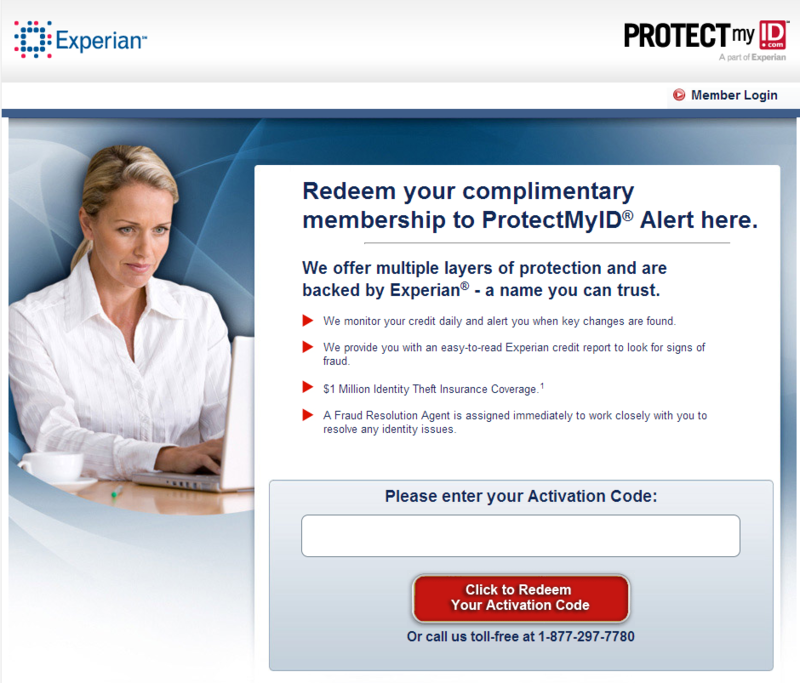 The service also offers users a fraud resolution agent if identity theft does surface, and it provides a free copy of the user’s credit report (Experian is required by law to provide a free copy of your credit report each year anyway, via annualcreditreport.com). Those who sign up for the free service still have to pay extra to see a copy of their credit scores. Avivah Litan, a fraud analyst with Gartner Inc., rattled off a long list of reasons why credit monitoring services aren’t much use to most consumers. -Most won’t tell you if a new wireless or cable service has been taken out in your name. -They do nothing to monitor your bank account transactions, credit card accounts (for fraudulent charges), retirement accounts, brokerage accounts, loyalty accounts and more. And these are all areas where consumers should be very concerned about account takeover. -They do nothing to tell you if a bad guy has hijacked your identity for non-financial purposes, i.e. to get a new driver’s license, passport or other identity document. Of course a bad guy impersonating a consumer using a forged identity document can end up in prison, causing lots of problems for the victim whose identity was hijacked. -They do nothing to stop tax fraud (typically tax refund fraud) against you. Same is true for other government benefit programs, i.e. medicare fraud, Medicaid fraud, welfare fraud, and Social Security fraud. DO THESE SERVICES HELP AT ALL? Litan added that some services — such as Lifelock — have a few extra bells and whistles. For example, Lifelock sometimes gets information (such as from the Early Warning System) when profile information on your bank account has changed (e.g. change of address). While most plans offer identity theft insurance — usually advertised as up to $1 million — most of that is coverage consumers already have under existing laws and Visa/MC zero liability rules, Litan says. Ferguson said credit monitoring services are most useful for people who have already been victimized or for those who are likely to be victimized (by an jilted spouse/lover, or stalker, for example). For those individuals, it makes sense to purchase a plan that offers triple credit bureau monitoring for maximum protection. The main downside of this approach is that a fraudulent application for credit can result in a deluge of alerts, emails and phone calls from all three bureaus simultaneously. As mentioned above, placing a fraud alert on your credit file every 90 days is the cheapest (as in free) way to block creditors from granting new lines of credit in your name, and from unnecessarily dinging your credit score. You are entitled to a free copy of your credit report from each of the three major credit bureaus annually. The only site you need to obtain this free copy is annualcreditreport.com, or by phone via 877-322-8228. Everywhere else will try to sell you a report, or offer a “free” report if you agree to sign up for some kind of subscription service — usually credit monitoring. If you have been the victim of identity theft, or if you don’t anticipate needing to take out a loan or apply for new lines of credit anytime soon and you’d rather not deal with fraud alerts, placing a freeze on your credit file may be the smarter option. Forty-nine states and the District of Columbia now have laws on the books allowing consumers to freeze their credit (Michigan is the holdout). Many of these laws allow the placement of a freeze for free if the consumer has a police report documenting an identity theft episode; for those without an ID theft scare notched on their belt, most states allow for the placement of a freeze for a $10 fee. See this site for more details on the various state freeze laws and instructions on how to obtain them. Consumers also can reduce their exposure to identity theft by opting out of unsolicited credit card or insurance offers. Doing this, via www.optoutprescreen.com, or 888-5OPT-OUT, should block most unsolicited applications and reduce the incidence of identity theft. Doing so removes your name, address and personal identifiers from lists supplied by the Equifax, Experian, TransUnion and Innovis credit reporting agencies that are used for preapproved and pre-screened offers of credit or insurance. This entry was posted on Wednesday, March 19th, 2014 at 10:51 am	and is filed under A Little Sunshine. You can follow any comments to this entry through the RSS 2.0 feed. Both comments and pings are currently closed. I used to have an account with AllClearId (formerly Debix) when the price was a reasonable $10 per year or so, but I dropped it because the price increased to a very unreasonable $8/month and because I realized after I had refinanced a mortgage that the company had done absolulely nothing during the process to warn me that new credit was being established in my name. About a month later my cell phone rang asking me if I had opened a mortgage, and at that point the damage would have already been done. Consumer Reports recommended this year against using any credit monitoring service for this exact reason. You can accomplish the same thing for free by spreading out your free credit reports to once every four months and removing your name from the pre-screen opt out list. Although I totally agree with you, and that is how I used to do it – I decided to go with a service from my password management company, because they have built a solid reputation for closely monitoring the security of their servers, and I wasn’t as nervous at having my information there. Also they encrypt everything just in case there was a breach. I get absolutely instantaneous alerts from them right at my computer desktop! I once applied for a loan at the bank and 15 minutes after I got home the alert popped up detailing what, when, and where the requesting agency made the credit inquiry. So far I’ve never been let down by LastPass, going on two years now. I was also able to look at any addresses I’d supposedly lived at, and vetted those as well. Equifax, no problem, experian would not allow me to place a freeze on our names for me or my husband and there is no way to talk to a person, live on the phone. Does anyone know how to either get a hold of esperian or why they would not allow us to place a security freeze on our lives? Others have written good advice on freeze information here, but I have read it can be hard to get anything done, especially with Experian. I bet if you sent a letter they’d have to respond. Send all mail CERTIFIED. Certified mail cannot easily be ignored. And send copies, never originals, of all documents. Usually if the online process doesn’t work it will redirect you to a page that you can print out, with the forms you need. I’ve never done this for a credit freeze though, but I would think there would also be a choice in this process online. 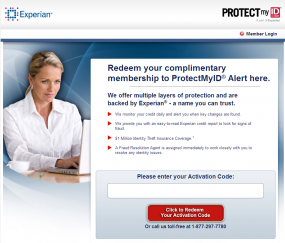 If this is true it would seem you would not have to contact Experian directly to get it with them as well. At least that is how I interpret it. Freeze != fraud alert. You can’t enact a freeze with all three bureaus by just alerting one. You need to file a freeze request with all, and any unfreeze requests on individual basis. Send a certified letter, they are legally required to do so. This article from Mr. Krebs brings up a number of interesting questions in addition to the one that the title poses (are credit monitoring services worth it?). One that I think most salient, right on the back of the huge Target breach, is whether the current approach taken by companies in responding to a data breach effective for the affected individuals? Now let’s consider that there are multiple factors at play in crafting a data breach response strategy. There are regulatory mandates based on state data breach notification laws, and in some cases federal regulations, that require notification of the affected population and have something to say about what content must be included in the notification. Then there is, in many cases, an offer of a free identity protection product (most typically credit monitoring) for some period of time (typically no less than one year) which is done voluntarily by the breached organization. I generally agree with Mr. Krebs that “it probably can’t hurt”. It’s like taking your vitamins when you feel like you may be coming down with a cold. They might help. They aren’t the only way for you to get those nutrients, you could always eat healthier and drink a lot of orange juice for extra vitamin C, but it might make you feel just a little better knowing that you’re doing something to address this new risk. And second, there is the nagging question in the back of my mind as to whether I’m comfortable giving Experian more information about me. By signing up for their credit monitoring, they how have a valid email address and phone number for me. And they also have my permission to send me emails encouraging me to “buy extra stuff”. I’m certain to get offers to upgrade my service and to sign up to pay for service once the free offering period expires. Maybe of even greater concern to me, though, is that Experian is in the business of selling information about me to other companies that want to market “their stuff” to me, among other things. So this question of what an organization should do for individuals when they’ve exposed personal information about them in a data breach has many tentacles. Unfortunately no simple answers. Excellent article. Exposes much of the reality surrounding monitoring products and why the average consumer is so utterly confused and misinformed. For the reasons stated in this article, and many more, our firm’s core belief is complete identity theft resolution for all types of identity theft/fraud. When the circumstance of identity theft strikes (and it will strike all of us) we take charge, stop the thieves cold and fully resolve all issues whether it takes two hours or two years. We do this not only for our Members, but also for any relative residing in the Member’s household. It’s an incredible Program, 24/7/365 World-Wide. Why would you pay for something that does not fix the problems? We already know monitoring products are expensive and mostly ineffective. It would be like buying car insurance that tells you that you just had an accident but is only going to fix a portion of your car…you have to fix the rest yourself. Is that something you should pay for? Check us out @ http://www.guardwellid.com We are growing exponentially because we do what we say we are going to do and we do it very well. We protect families, not just individuals. No WOT rating – a little too new? Maybe someday. I’m curious about everyone’s thoughts on monitoring/protecting children? Is this something that should be started at birth? I’d be interested to hear any stories out there. The market for Credit Monitoring Services (CMS) should determine whether subscribing to any CMS that covers one Credit Reporting Agency (CRA) given that there are 3 others, is useful as to comprehensibility, posting and reporting, timeliness, and cost. But “market” means fully informed buyers and sellers, negotiating on a standardized product. Most CMS buyers are ill-informed if not ignorant of the crucial details of the entire loan underwriting process, and the CMS sellers hype bells and whistles for a very marginal service. Even using such a marginal service (“gee, it’s free from Target/Neiman’s, it can’t hurt”) helps delude the post-breach victim that he’ll get real defense with the core threat, the theft of his Critical Personal Identifying Info’s 4 elements (SSN, DOB, drivers license #, name), and his CPII’s mis-use. I am not interested in being notified long after the fact of CPII compromise and New Account fraud, by a CMS cheerleader, and then trying to swab up the financial blood on the floor. I am interested in PREVENTING the download of my CR to any NEW lender by a CPII thief, even if my CPII was previously compromised by my dentist’s admin assistant needing some ready cash, armed only with a flash drive; or an SQL insertion into my bank or his processor; or me handing my CPII to a “street entrepreneur” holding a gun; or me losing a wallet; or my (previously unknown) now gambling-addicted cousin rifling my financial cabinets during our annual family Thanksgiving dinner. That kind of CR download prevention protection is available only from a Security Freeze. It is definitely NOT available from a 90 day FA or a 7 year EFA, equally as marginal as CMS. What you will spend ANNUALLY for CMS services, you can spend ONE TIME, for a lifetime Security Freeze at each of the four CRAs. For your own NEW Credit applications, the Freeze can be lifted 15 minutes after your phone call with your PIN, to a dedicated CRA telephone line for a time specific period. You can get a Security Freeze for your baby, or your adult, but disabled child, or Alzheimered grandma; all stellar CPII theft candidates, along with you. This is 2014.
h) when the victim properly interprets steps b) through g) and its meaning for him, whilst keeping his facebook account current and other charming aspects of 2014 tech life. Did you follow all that and the players, time, and sequence involved? However, there were two lender reported clues (one is murky) to the CRA early in the process that, had they been interpreted properly by the victim alone or his surrogate, would have informed both that his CPII had been compromised. But even if both clues were understood, it would not have ameliorated either the damage or the victim’s lengthy and costly repair effort. Those early points are b) and c) above, separated by 15-30 days. Point b) would have been recorded as a “CR pull” at one of the four CRAs that the lender uses. Whether a New lender’s pull would have set off any alarm is problematic, as the victim’s existing lenders routinely do a CR pull (“inquiry”) as a legitimate part of existing loan risk management. New and existing lenders’ “pulls” are reported in the same section of the CR. To add further confusion/murky to that section, some legitimate lenders’ marketers may pull a “credit header” (top of the CR) which that CRA may or may not post as an “inquiry”. By itself, one inquiry has no effect on the Credit Score. A series of them within 45 days should, but not with the sheer tanking effect of an “arrears” post. Point c) When the New loan was posted to the victim’s CR at the CRA, assuming the CMS noted it, did the victim understand what this meant? Even if he did, the thief has had his stolen funds for at least 3-10 weeks and a head start. A knowledgeable consumer helps, but what does he do with these CMS alerts when he’s on vacation or out of the country, or if/when the ID thief also compromised his CMS notification email account? Hmmmm. When a CMS says he’ll “stop ID thieves cold”, put your hand on your wallet. The CRA sloppiness described above and CMS “services” should be low hanging fruit to the CFPB, but they’ve got their hands full fighting pseudo “over reach claims” from the Hill, pushed by bank and credit union lobbyists. But I digress. What won’t a Security Freeze stop? An illegal alien buying my compromised CPII and using it to get a job in Utah, and registering to vote in many states and DC, for openers. But at least I’ll learn about the job compromise when the IRS charges that I deliberately under-reported my income from a chicken chopper job in Utah and they have the W-2 to prove it. Right. If your CPII is compromised, you will become intimately acquainted with affidavits and notaries. Did I say this is 2014?